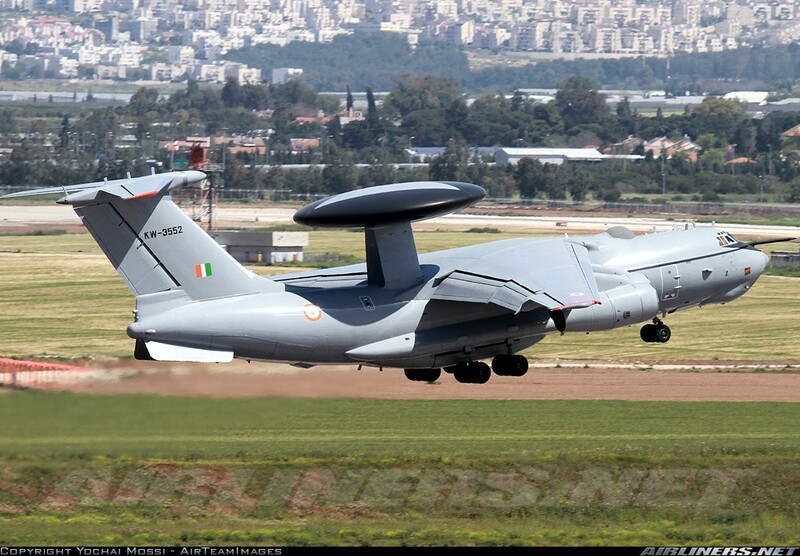 CAG informs in parliament that IAF's Airborne control center or the AEWCS based on the Russian IL 76 Aircraft and the Radar from Israel is not ready or achieved full capability due to many reasons. The report validates the issues and parameters of the A 50 Phalcon AEWCS till March 2014. CAG informs to the parliament that due to issues A 50 didn't perform the required missions. This is because of low service availability rate too. IAF tried to increase the service availability of A 50 Phalcon, However lack of technical expertise to work onboard the AEWCS, lack of air crew to perform aerial refueling missions and non-acquisition of additional land for extension of runway length at air force station in Jamnagar, Gujarat. Short of air crews and lack of ground support systems also the reason of low-availability of AEWCS. CAG slams the govt and IAF that lack of operational credibility on the AEWCS may impact the nations security during hostile situations. CAG also finds lack of spare parts of the Plane as well as radar systems. The aircraft's service maintenance is issued to third party even at shorter period of time. Not only that CAG find defective Automatic Test Equipment for Communication System used in the service center. The malfunctioned system further make issues in the operational capability of AEWCS. CAG finds the aircraft lacks much needed I level IFF reponders also absent in the AEWCS. and slams the government to speed up procuring such systems. The Identification of Friend or Foe (IFF) system provides identification of enemy or friendly aircraft based on responses to interrogation, as well as determination of their positional and altitude data. The role of IFF system is to interrogate the various transponders in its coverage area. The issues also found in Hangers and storage facility's. The air force station also lacks of proper accommodation to the service crew's. Totally CAG openly said the Jamnagar Air base is not fully ready to accommodate the AEWCS squadron. The Ministry authorized IAF to perform 1500 flying hours per year. However due to lack of instability the IAF performed only 844 hours of flying. The AWECS is major aspects who need to fly continuously during critical situations. It's very hard to detect low flying cruise missiles through ground based radar. Due to radar horizon and clutter. Low flying terrain hugging missiles can be detected only by airborne radar's or aerostats. CAG didn't said anything about the Aerostats, So it's believed the system is working fine. IAF may review utilization of radar mounted in the aircraft with a view to enhance its capacity utilization, so as to bring it at par with the established task fixed by the Ministry; or the Ministry may suitably revise task in its Policy Page. Ministry/IAF may investigate reasons for non-inclusion of training in AAR in the contract (2004) for radar mounted in the aircraft and issue necessary instructions, so that in future the provisions of training required for operation of vital capabilities of an asset is not missed while concluding the contracts. 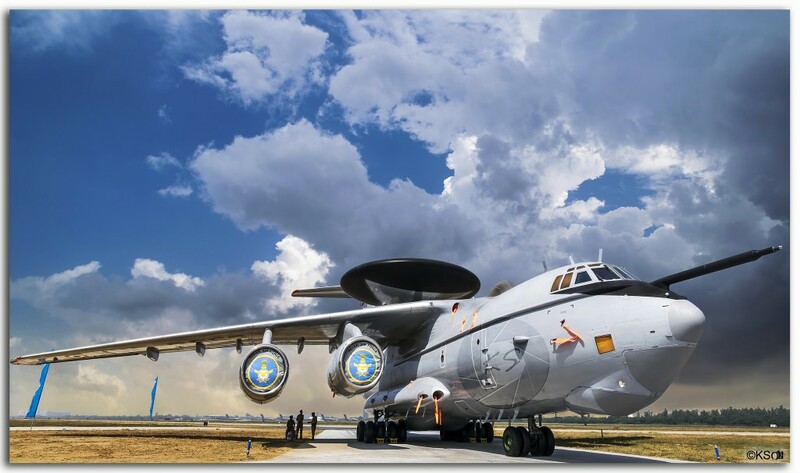 Extension of Runway length at air force station to over 15000 feet, by acquiring the additional land may be reviewed so as to meet the requirement of radar mounted in the aircraft and the IL 76 aircrafts to take-off with full payload. Overall arrangement for maintenance of radar mounted in the aircraft be finalised as early as possible to ensure optimum availability thereof at optional cost. It may further be ensured that ‘I’ level facility is set up by OEM as per the contractual provisions so that dependency on OEM for testing of LRUs for isolation of fault up to SRU level and turn-around-time in servicing of LRU/SRU is minimized.